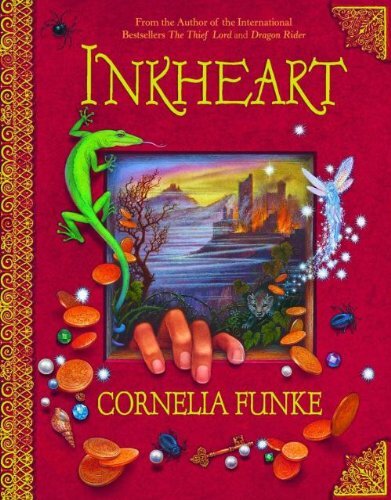 In Cornelia Funke's intriguing novel Inkheart, the reader follows Meggie Folchart on an enchanting journey to discover the secrets that lie within the pages of a fairy tale called Inkheart. The unfortunate story unfolds when Mo, Meggie’s father, unintentionally releases the characters Capricorn, Basta, and Dustfinger out of the fairy tale just by reading the pages aloud to his wife, Resa; however, if one person comes out of the book, something or someone must take their place in order to continue the story. As a result of the freedom of Inkheart’s characters, Resa was doomed to living out three years in the surreal land illustrated in Inkheart until she was freed from the printed world by another reader named Darius. Through the course of the novel Meggie discovers that she obtains the same gift her father does and finds her mother at Capricorn’s village where she is being held a slave. Mo eventually saves Meggie and Resa from Capricorn. The book ends when the reader learns that Meggie plans on learning how to rewrite stories and master the new magic that she so recently discovered she possessed. Meggie, Mo and even Resa are all relatable characters. They share their love for books with each other as well as the reader. Anyone who loves books as much as these three characters should definitely read Inkheart. Inkheart is a timeless read perfect for any reader who loves to get lost in a written adventure.